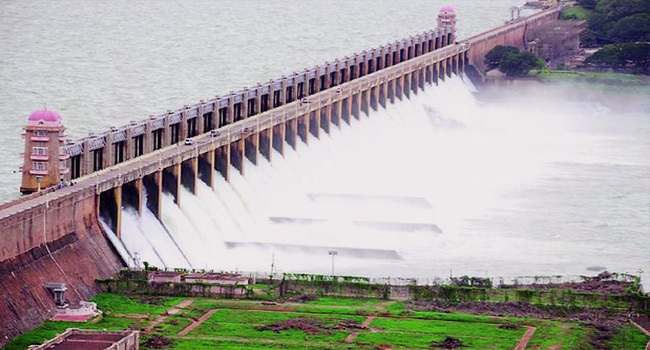 The Tungabhadra Dam is constructed across the Tungabhadra River, a tributary of the Krishna River. The dam is near the town of Hospet in Karnataka. It is a multipurpose dam serving irrigation, electricity generation, flood control, etc. This is a joint project of erstwhile Hyderabad state and erstwhile Madras Presidency when the construction was started; later it became a joint project of Karnataka and Andhra Pradesh after its completion in 1953. The main architect of the dam was Dr Thirumala Iyengar, an engineer from Madras.